Thanks to Cascade Platinum and Double Duty Divas I am able to host two awesome cooking parties! Cooking, eating, having fun and letting my party guests witness first-hand the powerful cleaning ability of Cascade Platinum. Each guest will get to take home a full size Cascade Platinum and Cascade Platinum Rinse Aid as a thank you for coming, plus yummy food and good company! Skip the pre-wash. It’s true! This is a key step for success in the dishwashing process, and just about everyone gets it wrong! 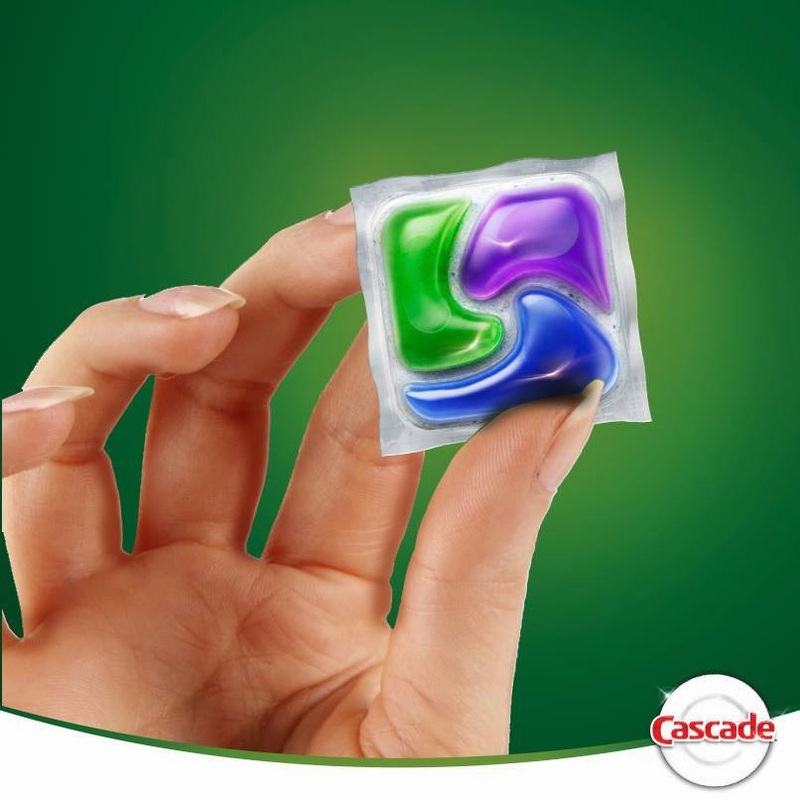 Here’s why you need to skip the pre-wash: Cascade Platinum works best when food soil is left on dishes because its special enzymes latch onto that food, breaking it down so it can wash away. If there’s no food soil, there’s nothing for the enzymes to attach to and your detergent isn’t working its hardest for you. In lieu of any pre-washing, simply toss the large bits of food into the trash or garbage disposal and then stop there. No need to run anything under the water. Just load into the dishwasher. Don’t worry about food left on the dishes damaging your machine or pipes. Few people know that there is a garbage disposal built into the bottom of almost all dishwashers – but there is! That disposal works exactly like the disposal in your sink. 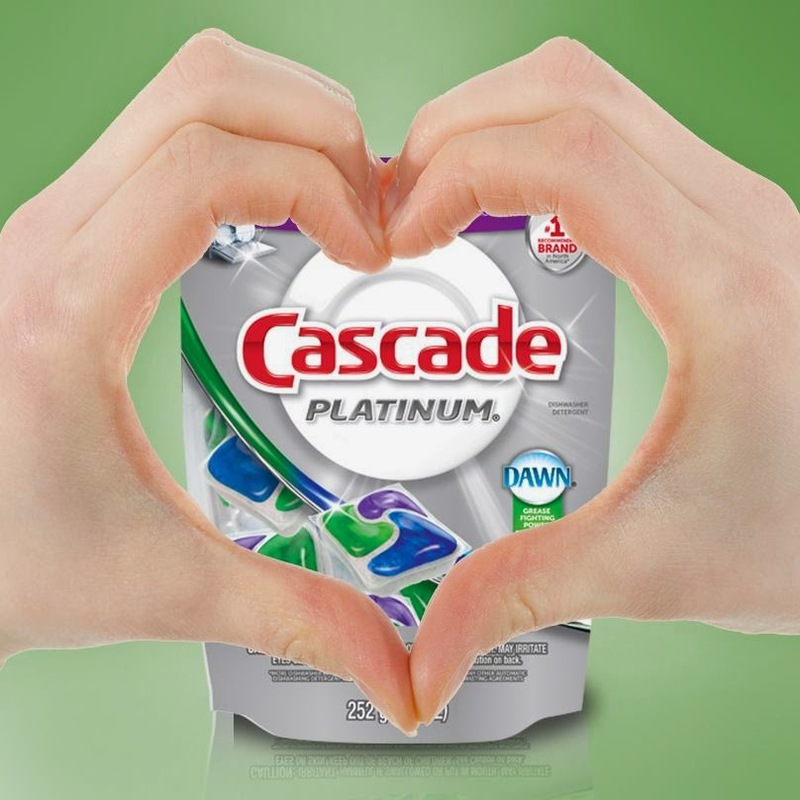 Try Cascade Platinum for yourselves, and post your authentic reviews at www.cascadeclean.com/us/cascade/review using #cascadeshiningreviews for a chance to win a prize pack. Also, see my giveaway below! Good luck! For my first party I made yummy Mac n’ Cheese (courtesy of The Pioneer Woman), and some delicious brownies! Cook macaroni until very firm. Macaroni should be too firm to eat right out of the pot. Drain. In a small bowl, beat egg. In a large pot, melt butter and sprinkle in flour. Whisk together over medium-low heat. Cook mixture for five minutes, whisking constantly. Don’t let it burn. Pour in milk, add mustard, and whisk until smooth. Cook for five minutes until very thick. Reduce heat to low. Take 1/4 cup of the sauce and slowly pour it into beaten egg, whisking constantly to avoid cooking eggs. Whisk together till smooth. Pour egg mixture into sauce, whisking constantly. Stir until smooth. Add in cheese and stir to melt. Add salt and pepper. Taste sauce and add more salt and seasoned salt as needed! Pour in drained, cooked macaroni and stir to combine. Serve immediately (very creamy). GOOD LUCK! Check it all out at Cascade on Twitter, as well as Cascade on Facebook! 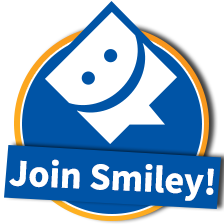 Have an opinion to share? 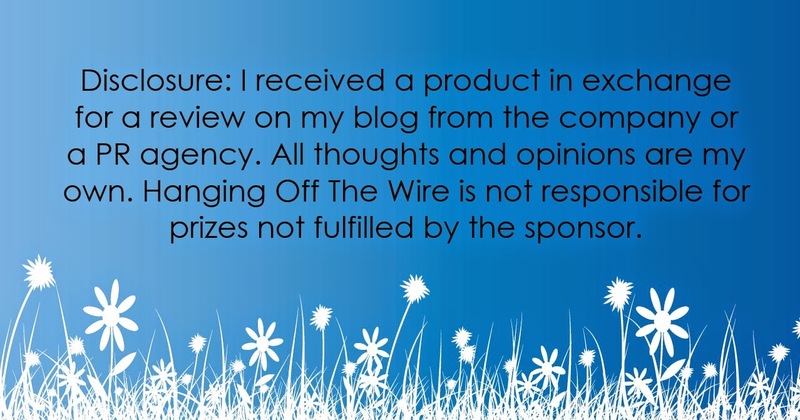 Head to the Cascade website to leave a short review of Cascade Platinum (http://www.cascadeclean.com/us/cascade/review) including #CascadeShiningReviews. 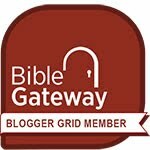 One reviewer will win a Kitchen Aid Dishwasher! I would like to win because these items would be really helpful to me in the kitchen. I love Cascade. I think they're great. We love Cascade when doing dishes! 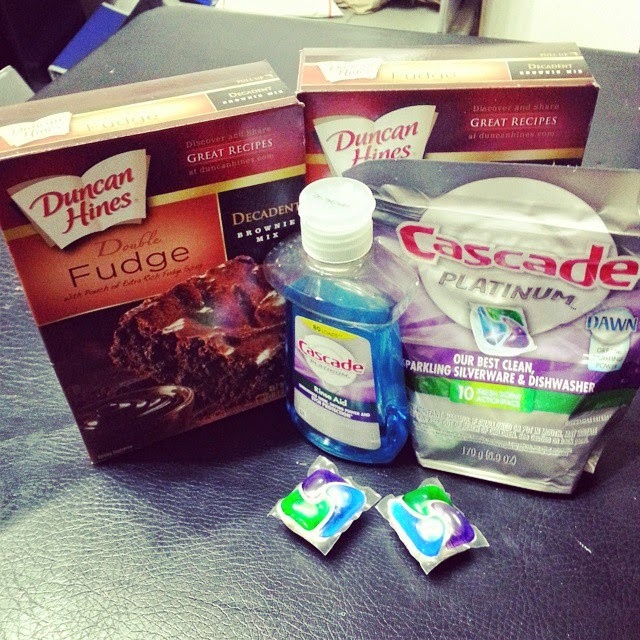 Id like to win because I use a lot of Cascade and I love winning free stuff. My dishwasher is pretty old and it could use all the help it can get! I'd like this prize package because we love Cascade and I need a new whisk! Someone is always in the kitchen making something. I would love to win this to help make cooking and clean up a breeze! I can't stand dirty dishes. Is there anything worse to pull out of dishwasher? I'd love to win so I'd have sparkling clean dishes. 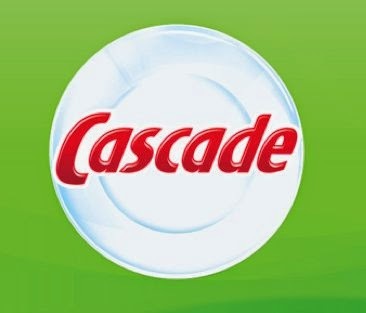 I'd like to win because Cascade is my favorite dishwasher detergent. I would like to try the Cascade instead of the cheap stiff we always get. Maybe our dishwasher isn't as bad as we think it is. I'd like to win because I use Cascade, but haven't tried their rinse aid yet. Our dishwasher is one of the most commonly used appliances in our home. I would like to win and try this cascade. I usually use the liquid. I like Cascade and the gel pacs. I love Cascade Platinum and I could also use the other kitchen supplies. Thanks! I love how well Cascade gets my dishes clean! I want to win because I want to try this out & see if I like it as well! I like Cascade products especially the pacs. 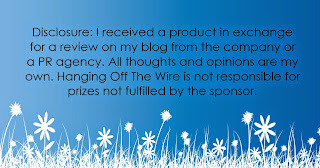 I want to win because Cascade is one of my favorite products and if it's free, that's even better! I would like to win because I have not tried them yet and this would be a great way to do so! I love cascade! Winning would save me a little money. I would like to win this since I always have a ton of dishes to go thru the washer and they never come out clean! i want to take the cascade Challenge!!! With the kids back in school, it's time to start baking some goodies for afterschool snacks...and cleaning up afterwards. I love Cascade! I always use Cascade and this would be great. I would love to try this because I am always looking for better products and am currently unhappy with my detergent. I'd like to win, because since having our baby girl my husband and I run our dishwasher every day. We are a one income family and this would help cut costs on our weekly grocery budget. Thanks for the opportunity to try these pods and rinse agent. I am looking for a new dishwashing brand, so would love to give this a try. I want to try this because I'm pretty tired of the prewash game! I love cascade and would love to try this. I want to win because I don't usually use Cascade, but would like to give it a try. I would love to win as I want to try the Cascade Platinum and could use all of the kitchen utensils. I would love to win and try this Cascade because I have not tried it before! I do a lot of cooking for my grandchildren (like a short order cook) and for my family. This prize pack would be very helpful. Cascade is the best! Would love to win, I've never use Cascade Platinum Rinse Aid.